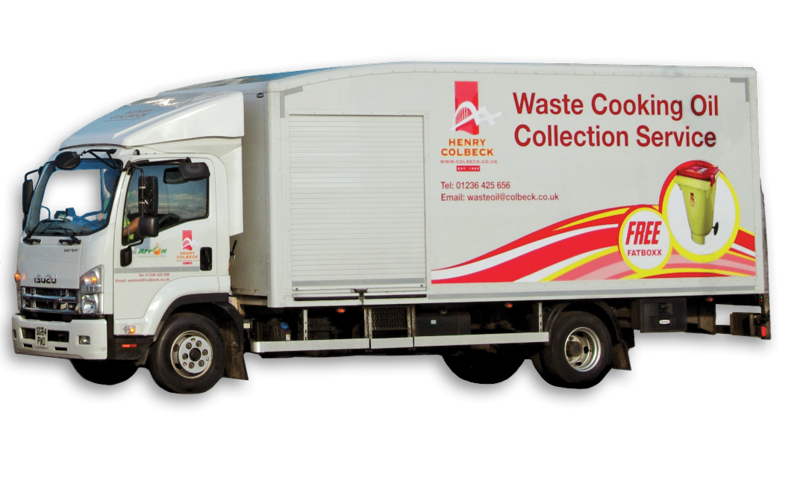 Henry Colbeck offer a comprehensive range of vehicles collecting Used Cooking Oil (UCO) across Scotland and the North of England. With a wealth of experience, our team is capable of collecting your UCO in a safe and efficient manner, complying fully with environmental legislation. We operate a fortnightly or monthly collection schedule, however, if you require more frequent collections we will endeavour to assist you. Henry Colbeck will supply FREE OF CHARGE our own patented Fatboxx or 60 or 120 litre blue containers depending on your preference. We also have a text messaging service to remind you we're coming the day before we collect your UCO, giving you complete peace of mind. A bi-annual, A4 timetable will be provided to you scheduling your collection dates in the coming six months giving you certainty of when you will next see our waste oil team. Henry Colbeck offers over 30 blends of frying oils & fats tailored to suit your individual frying needs. 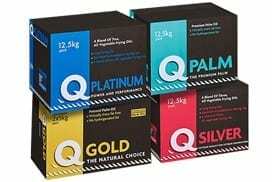 We take great pride in quality and blend our own branded oils & fats developed from only the finest raw materials to give you the best choice of premium frying products, together with unbeatable frying performance. Our oil is packed in a state-of-the-art packing and processing facility in the Northeast of England that boasts a 250 tonne storage capacity. Our Henry Colbeck Fatboxx is an innovative container designed to transport and contain used cooking oil safely. They are purpose built for UCO with a clasp and seal lid designed to ensure no waste is spilt. The Fatboxx has a microchip embedded into the lid for traceability purposes and to reduce the risk of theft. 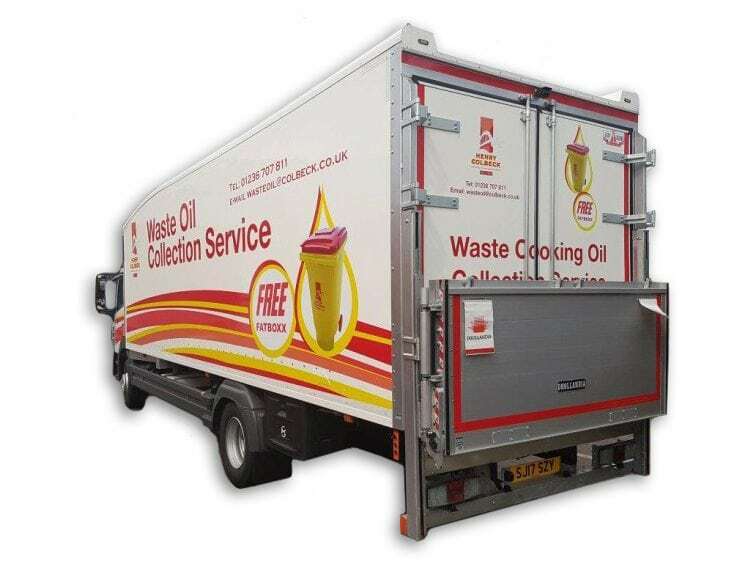 You are required by law to dispose of your used cooking oil in a safe and responsible manner. You therefore need to use a certified and trusted collector of UCO who is fully licensed to collect, transport and dispose of the waste in a legal manner. We provide you with a controlled waste transfer note with every collection, which has to be kept by you for a minimum of two years. It is a criminal offence to discharge into public sewers and drains any matter which may interfere with the free flow of wastewater. Failure to comply may result in fines of up to £5,000. Legally disposing of waste edible oils & fats can be recycled for the production of various types of bio-energy. We are dedicated to creating renewable energy sources and aim to recycle 100% of the UCO we collect into biodiesel. Free Mini-Fatboxx just for signing up! - a perfect addition for your desk. Email wasteoil@colbeck.co.uk or call 01236 707 811 and ask for Ross Murdoch or Ashley Stewart.